Take ownership: Make proving and improving work for you! What does proving and improving mean to your organisation? The following are some of the key ideas and concerns to keep in mind when deciding what it means for your organisation to prove and improve. This section will spell out some of the things you’ll want to do to identify your organisation’s needs and its opportunities. What your organisation proves to others or how it improves are important decisions. While an organisation must take into account the opinions and needs of its stakeholders, too often a single group of stakeholders – funders or large contract holders – determine what gets measured, and therefore what gets valued. This section helps you to determine your organisation’s priorities and outlines how you make an informed decision about how you go about ‘proving and improving’. Knowing what your organisation wants or needs most is probably the most important element in choosing an approach to ‘proving and/or improving’. If you determine that it’s important to work on quality, improvement, or excellence, understand for yourself or within your organisation what that means. ‘Quality’ can mean different things to different people and can be defined differently by each. The organisation itself – and its stakeholders — can decide what ‘quality’ looks like and set standards for the organisation to uphold. An external body or organisation may set standards for the quality of an organisation’s products or how an organisation does things (process) or how the organisation makes or provides things (products or services). Which of these ways of seeing quality is most important for your organisation right now? Is there a particular area that needs improvement, such as human resources, financial management, or governance? Is there the drive and interest in undertaking a holistic process of looking at all of the organisation’s internal processes? Is it important to your stakeholders that you have an externally validated mark of quality? Many organisations have a clear sense of their mission and the activities they undertake to help make progress towards that mission in some way. Knowing that the activities are taking place is not enough to show that the intended changes are happening. If yours is like most organisations, you probably keep track of outputs or the easily countable products that come as a result of your activities, such as numbers of people served or numbers of qualifications attained. This only begins to tell the story. It’s essential to know more in order to check that your activities results are having the effects you intend, and are helping to achieve your organisation’s mission. If this is an important priority for your organisation, this Toolkit can help you to get started in measuring your outcomes and impacts. What social, environmental or economic results from our activities, if we were not accomplishing them, would prevent us from getting to our organisation’s goal – its mission? Therefore, what are the most important things we need to know about? Do we already demonstrate that these things are really happening, or measure to what extent they are happening? Do we need to start now? Are there other things that are essential for us to know about – such as the unexpected positive and negative effects of our activities or the way we operate our organisation? Many organisations find it difficult to begin a proving or improving process as a stand-alone activity. There are, however, several points in your organisation’s lifecycle where using proving and improving initiatives can be particularly useful: times of change that can open up an organisation to new ideas and directions. Using a tool or framework can provide structure or solidify goals when the organisation is going through changes. While these points provide opportunities, it is possible to take up a proving or improving process at other times. Often individuals within organisations learn about a particular tool or approach, decide that it would be beneficial to their work or to the organisation, and then begin a campaign to get others on board to take forward the process. In this instance it is particularly important to compare the tool that sparked the interest in the light of other methods to determine that the energy and the need are behind the desire to undertake a new process. Whether your organisation is at a ‘window of opportunity’ or there is simply a strong desire to ‘prove’ or ‘improve’ it is important that there is the commitment and energy within the organisation to move forward the process and see it through. Leadership. Someone must take responsibility for leading the initiative within the organisation – both to learn about a chosen approach, and to share it with and involve other staff. This will require one or more people to have the time to devote to it. Time to involve stakeholders. In any proving or improving process you are likely to want to consult your stakeholders in some way, to find out about opinions or about the impact that your organisation is having. Cost of materials, support, or courses. These can be considerable for some of the more complex or holistic approaches. For some approaches, however, resources manuals and support are available free. Starting small and building upon that foundation is a good way to develop skills, strengthen confidence and teamwork, begin to ask questions and find answers, and move towards a sustainable effort to prove and improve. There are many resources that can help organisations to plan, monitor and evaluate their outcomes and impacts. 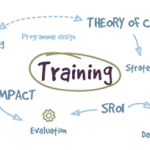 Many support organisations that create tools or approaches genuinely believe that their ‘tool’ or method is the best – they may not have information about other methods or resources, or they may have a financial stake in their particular tool being adopted by more organisations. Each tool meets a need or a range of needs. It is important to align the benefits your organisation seeks with what the tool is capable of helping you to achieve. Go to Tools or more information.